An Orange County based photographer specializing in Interiors, Architecture, and Real Estate photography. At the beginning of the year I was contacted by the company I use to send out my mass emails. They wanted to interview me and my business to get an insight as to what sets me apart from my competition and how I utilize their services. It’s a great way to get to know me a little bit if you already don’t. Have a look at the video above and hit me up in the comments if you have any questions of your own! What should you do/needs to be done prior to putting your home on the market and photographing it? I’ve made a list of items that should be addressed before hand. Before each shoot I’ll be emailing this to new clients. This should hopefully aid in photographing your listing quicker and a faster sale for you, since it will be showing at its best! A win win for both parties. See something that I left off the list? Let me know so I can put it on there! To download a copy of, visit this link. Have a look at this 7300 sqft Corona del Mar home listed by Suzie Malerbe. This one was a bit of challenge, with it’s dark shinny surfaces and bright exterior light – always makes for a good time trying to set up lights! I got it done none the less and they turned out well. I had to reshoot this home for Suzie since she wasn’t happy with what the previous photographer had provided her. Which goes to show that not all “professional photographers” can shoot real estate. Hire the right guy for the right job! Her and her partner were pleased in the end with my photos, which makes me happy :-). Be sure to read the full post to see some more shots! 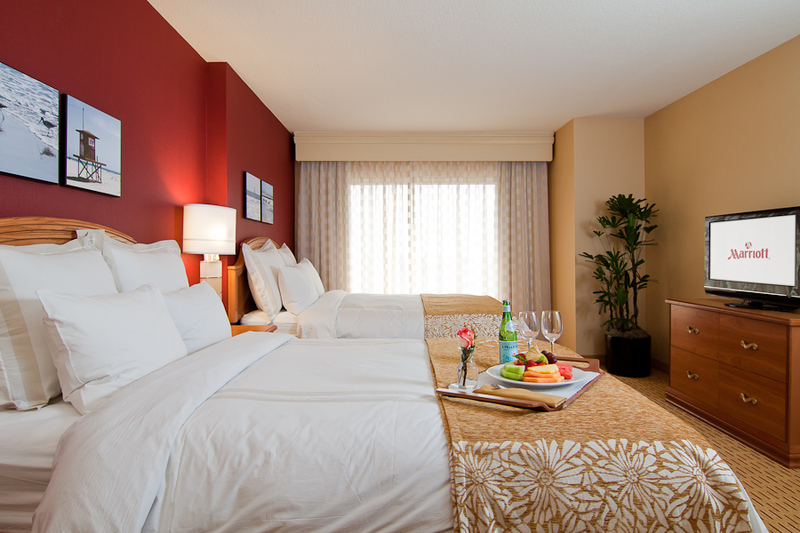 Last week I was given the opportunity to photograph some newly renovated suites at the Marriott in Anaheim. It was a fun project to work on and the staff there were great. There are a lot of little things that go in to making photos like these that most viewers won’t notice. We spent the previous morning looking at the rooms and discussing what needed to be done to have them “photo ready”. Lucky for us, we had access to a full kitchen that provided a lot of the props that we used in the rooms (along with a tree that was needed to fill in a blank void). Have a look at some of the original and final versions of the photos we made that day after the break!